Your day-by-day itinerary now includes Iittala Glass Center as well as Jokioinen Museum Railway. On the 28th (Sun), examine the collection at Jokioinen Museum Railway, get engrossed in the history at Palander House, and then pause for some serene contemplation at Hauhon kirkko. To see traveler tips, maps, ratings, and other tourist information, read Haemeenlinna driving holiday planning tool . Helsinki to Haemeenlinna is an approximately 1.5-hour car ride. You can also take a bus; or take a train. In July, daily temperatures in Haemeenlinna can reach 24°C, while at night they dip to 13°C. On the 29th (Mon), you'll have the morning to explore before heading off to Tampere. 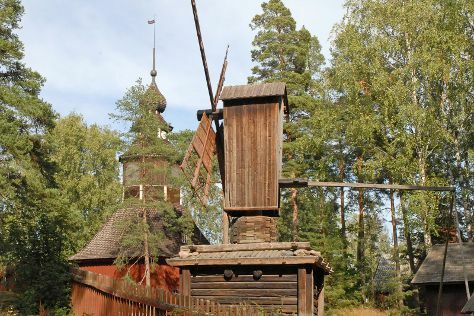 You've now added Moomin Museum to your itinerary. For other places to visit, where to stay, photos, and other tourist information, read our Tampere trip site . Take a train from Haemeenlinna to Tampere in an hour. Alternatively, you can drive; or take a bus. In July in Tampere, expect temperatures between 24°C during the day and 13°C at night. On the 31st (Wed), you'll travel to Kokkola. Kokkola is a town and municipality of Finland. Kick off your visit on the 1st (Thu): get to know the fascinating history of Neristan (Old Wooden Town). To see reviews, maps, photos, and tourist information, go to the Kokkola trip itinerary planning tool . The Route module can help you plan travel from Tampere to Kokkola. In July, daytime highs in Kokkola are 24°C, while nighttime lows are 12°C. Wrap up your sightseeing by early afternoon on the 2nd (Fri) to allow time for travel to Rauma. Rauma is a town and municipality of ca. Get some historical perspective at Old Rauma and The Church of the Holy Cross. Automobile Museum and Isokari Lighthouse are good opportunities to explore the local culture. Explore Rauma's surroundings by going to Yyteri Beach (in Pori) and Bonk Museum (in Uusikaupunki). There's much more to do: learn about all things military at Rauman Merimuseo - Rauma Maritime Museum, take an in-depth tour of The Old Town Hall Museum, and see the interesting displays at Marela Museum House. To find other places to visit, maps, and other tourist information, go to the Rauma trip app . Use the Route module to find suitable travel options from Kokkola to Rauma. In August, daytime highs in Rauma are 22°C, while nighttime lows are 12°C. Finish your sightseeing early on the 5th (Mon) to allow enough time to drive to Helsinki. Get a sense of the local culture at Seurasaari Island and Open-Air Museum and Helsinki Cathedral. You'll explore and learn at Sea Fortress Suomenlinna and Natural History Museum (Luonnontieteellinen Museo). 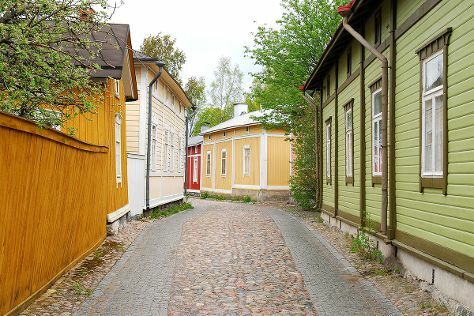 Explore Helsinki's surroundings by going to Porvoo (Cathedral of Porvoo & The Devil's Stairs) and Kotka (Maritime Centre Vellamo & Linden Esplanade). There's lots more to do: contemplate in the serene atmosphere at Rock Church, see the interesting displays at Taidekoti Kirpila, wander the streets of Ullanlinna, and appreciate the extensive heritage of The Esplanadi Park. For reviews, more things to do, photos, and tourist information, you can read our Helsinki trip itinerary planning site . You can drive from Rauma to Helsinki in 3 hours. Other options are to take a bus; or do a combination of bus and train. Expect a daytime high around 24°C in August, and nighttime lows around 13°C. You will have some time to spend on the 10th (Sat) before leaving for home.